September 1, 2017 /3BL Media/ - Hormel Foods has a history of being a good neighbor and Hurricane Harvey is no exception. 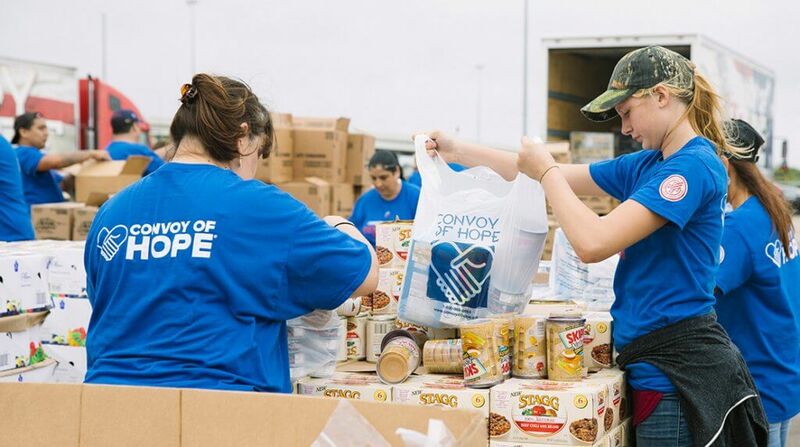 Hormel Foods is lending a helping hand to those impacted by Hurricane Harvey through its partnership with Convoy of Hope. In anticipation of hurricane season this year, Hormel Foods partnered with Convoy of Hope to help stock their warehouse with protein-rich products, such as SKIPPY® peanut butter, Stagg® chili, Hormel® premium chicken breast and SPAM® products, that could be positioned and distributed immediately for disaster relief efforts. Convoy of Hope sent their disaster services team with our products to help with Hurricane Harvey relief efforts on Friday, Aug. 25, and began distributing over the weekend. In addition to our disaster relief efforts with Convoy of Hope, Hormel Foods has a long-standing partnership with Feeding America and other foodbanks, and continually donates products that can be used for hunger and disaster relief. In fact, in 2016 we donated more than $7.4 million in cash and product donations toward these efforts. The company will continue to work with Convoy of Hope to ensure that they receive additional support to ensure they can take care of those in need.